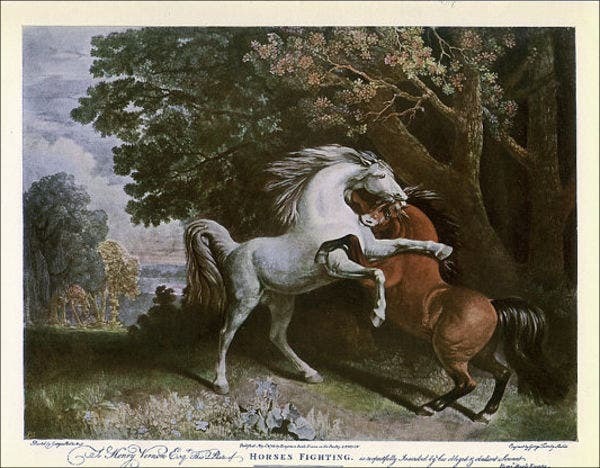 Horses are a common means of transportation before automobiles were invented. Even to this day, they are considered as majestic creatures that are swift and elegant as they gallop through fields. They are truly a sight to behold. Riding one of these animals gives you a sense of delight and an enchanting feeling. When it comes to art, they are a common subject because of the many meanings that lie behind them. 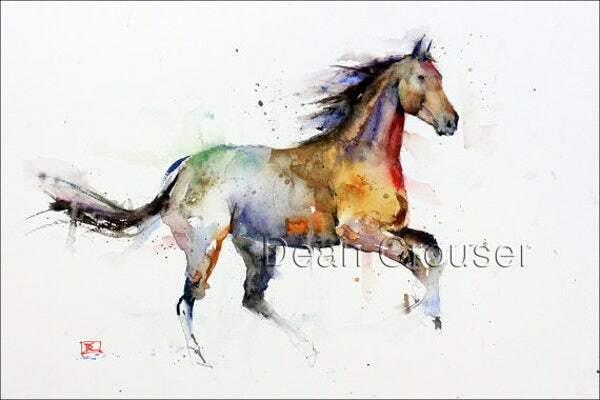 We have here samples of different awesome horse painting ideas to help you expand your creative knowledge about them. 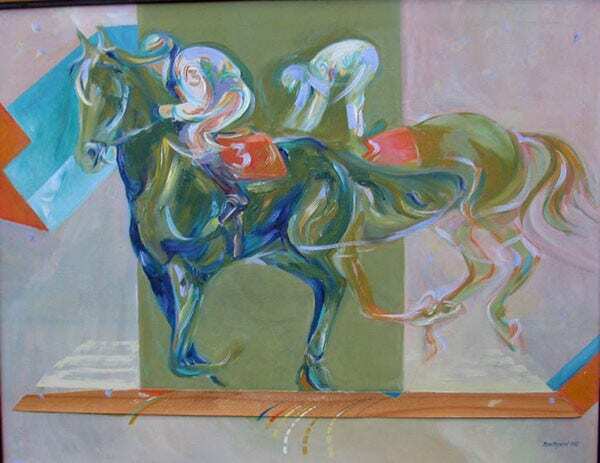 For more painting ideas other than horses, you can browse through our website. Did you know that when they go to sleep, they do so either lying down or standing up? Even after giving birth, they can still go running. 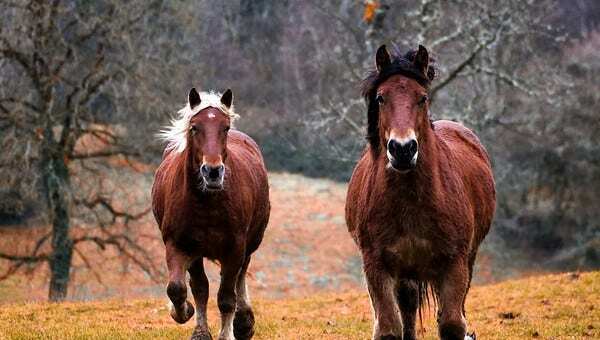 Their lifespan can range to 25 years, although one horse named Old Billy lived to 62 years old. They have 205 bones in their skeletons. Humans have been domesticating horses for over 5,000 years now. 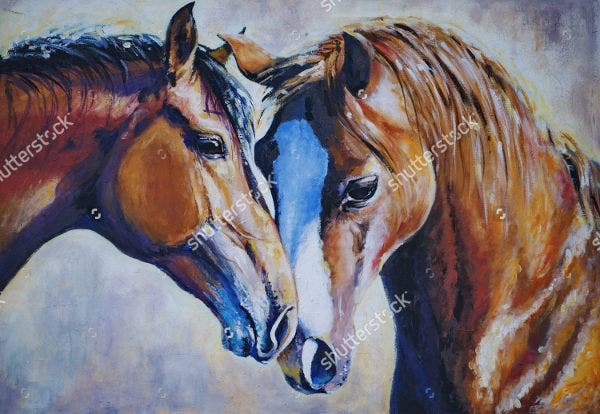 Horses are herbivores, which means they only eat plants. The eyes of horses are the biggest among land mammals. They can see nearly 360 degrees since their eyes are located on the sides of their heads. They can run as fast as 44 kph (27 mph). 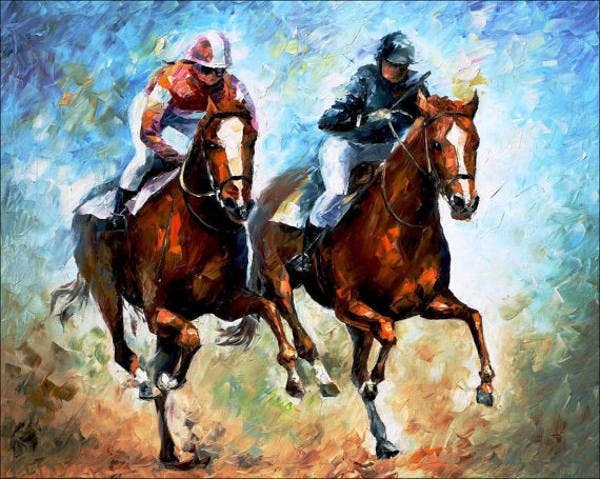 The fastest speed a horse has achieved was 88 kph (55 mph). It is estimated that there are about 60 million horses around the world. 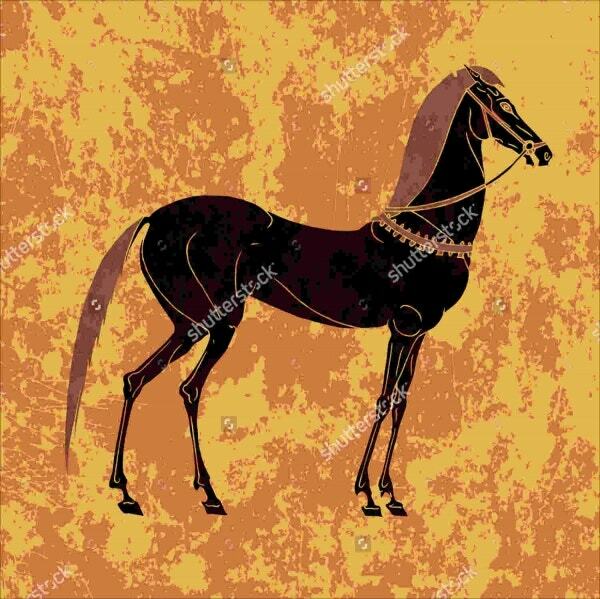 Male horses are called stallions. Young male horses are called colts. Young female horses are called fillies. A small horse is called a pony. Horses are often looked upon as the wind since they are always seen galloping without being tired. The universal symbol for these creatures is freedom without restraint. Most feel this sensation especially when riding a horse. They feel a sense of breaking away their problems and freedom from riding the wind. 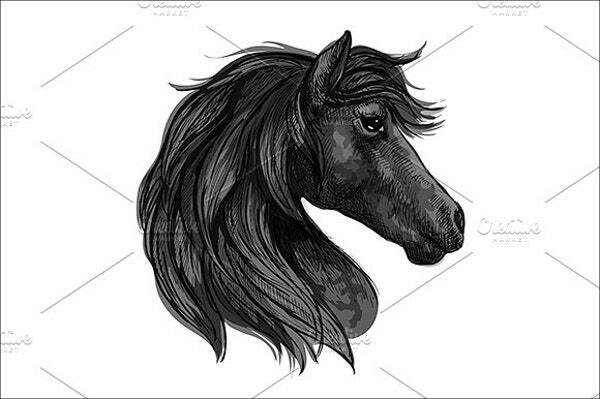 Other symbols for horses also include travel, movement, and desire. In different religions and cultures, the horse has a unique meaning of its own. When talking about horses as a person’s spirit animal, it means to say that they contain a personal drive in life, passion, and crave for freedom. It also symbolizes a sense of strong motivation. 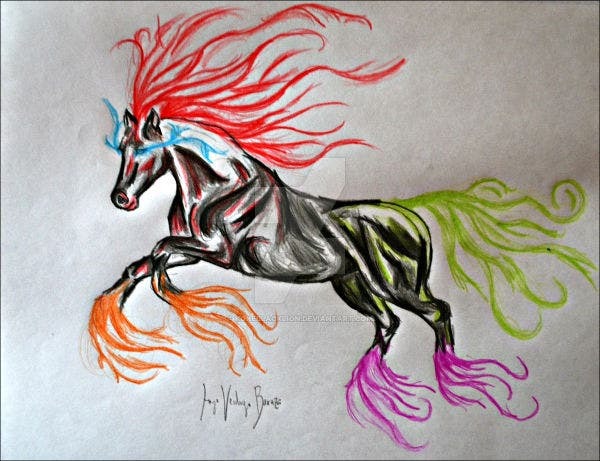 The most common horses in legend are the unicorns and Pegasus in Greek mythology. 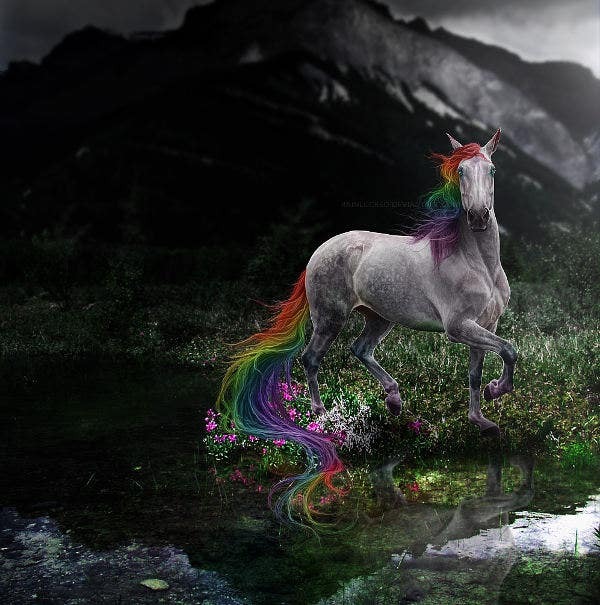 According to legends, unicorns help the rider by carrying them to their destiny through mystical powers. 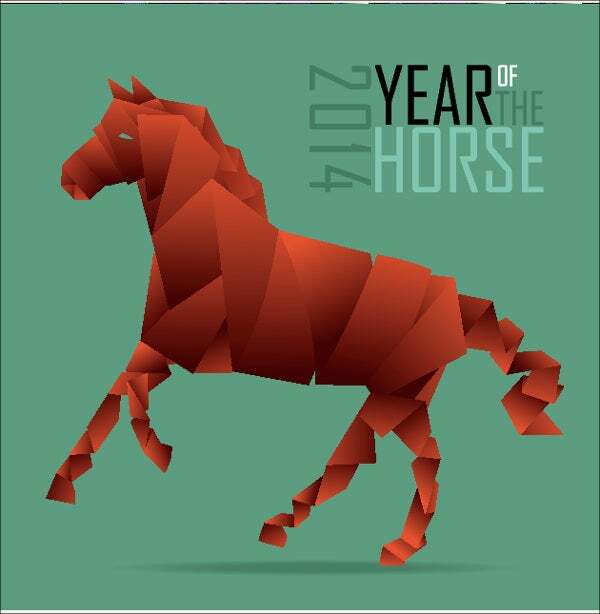 This is a great example of the symbolism of horses from different kinds of folklore and beliefs as well. To name another example, Native Americans see the horse as a representation of power among their tribes. Although in the Christian religion, white horses symbolize death, which is derived from the scriptures of the Holy Bible. In Hinduism, the sun chariot of the solar deity Surya was also pulled by seven white horses, which is often interpreted as the colors of the rainbow and the seven days of the week. For more painting samples, we also offer abstract paintings that you can find here on Template.net.